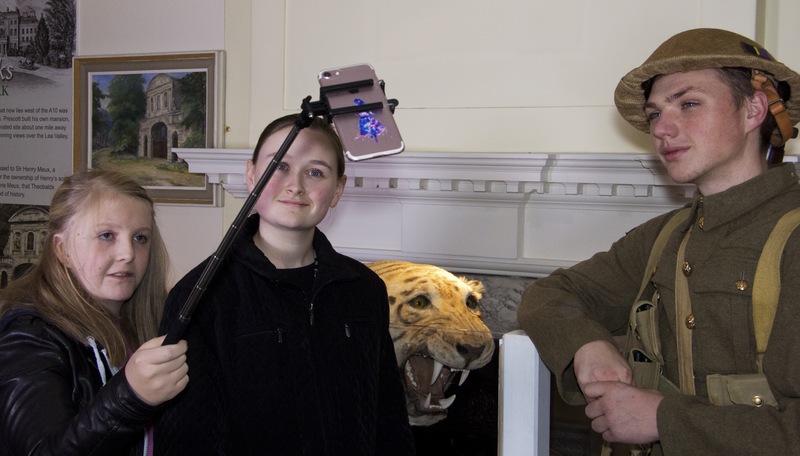 Production still from a really busy day at the Lowewood Museum yesterday where we were filming with Liam Mercer from the 10th Essex Regiment Great War Living History Group, Ciara Jane Fleming from The Valle Academy of Performing Arts , and Caitlin one of the many members of Lowewood Museum’s Youth Panel who were filming. Of course Lowewood Museum’s tiger Ben kept a ready eye on proceedings.Only a few more days of shooting left on the Youth Panel’s short film “Absolutely”, which is kindly supported by Royal Opera House Bridge . Off to the Lowewood Museum in Hoddesdon, Hertfordshire tomorrow to add a soldier to our historical figures featuring in their short film Absolutely. 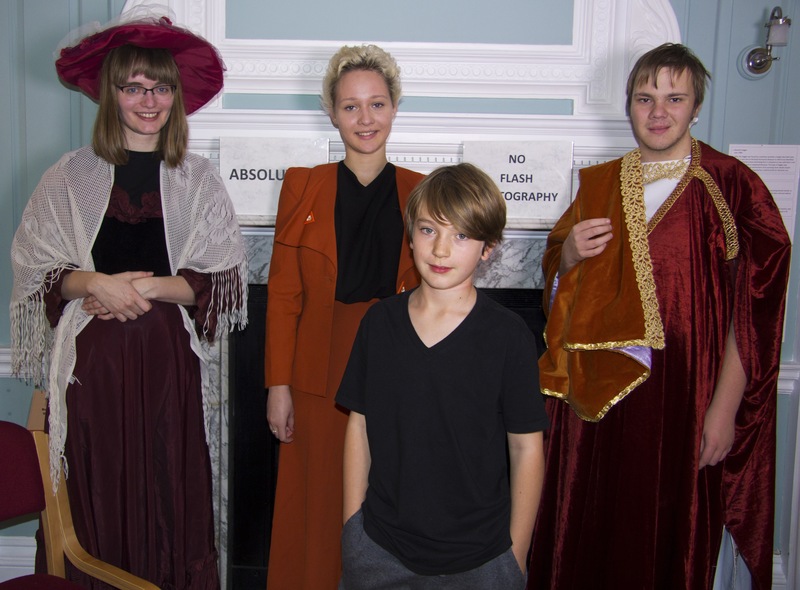 Members of the museum’s Youth Panel have appeared as Romans, Victorians, and even someone from the sixties. 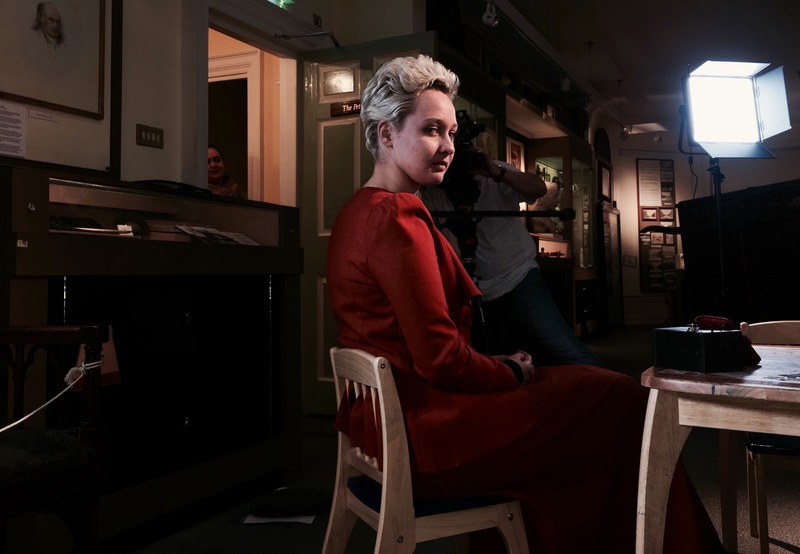 Lowewood Museum’s Youth Panel’s Yanena maintaining character between shots at Lowewood Museum ‘s shoot for their new short film “Absolutely” supported by Royal Opera House Bridge. Is it ever too early to start?